You must have come across some recommendations if you have read some Echo fly rods reviews online or in various blog posts. The Echo Fly rods offer decent accuracy thanks to its action and power. 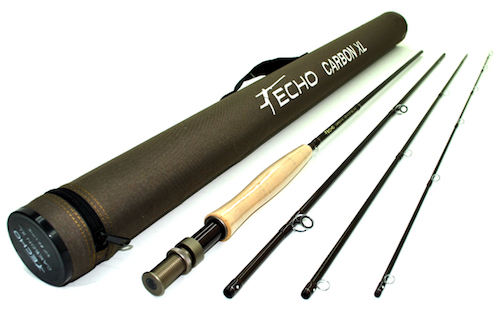 Therefore, amidst the many fly rods options available in the market, Echo appears to have hit the ball out of the back with this new product - the Echo Carbon XL. The new Echo XL fly rod is impressive for just about everything you want to do on a trout stream. As other highly publicised rods retail for up to $1000, the echo fly rods sell for at a much lower price. Despite, the price range, we advise that you should try it first before dipping your pocket further to buy more expensive fly rods. The Echo Carbon XL is an inexpensive, true performer. It offers the four-piece travel design, which has been the subject of discussion for those wishing to purchase trout rods. This Echo fly rod review will help you to decide if you should buy it or not. Here is a quick recap on what we think of this fly rod. This rod is meant for beginners. Not for professionals. Tim Rajeff designed this product to be airy light from 2wt to 6wt with medium-fast action to cast precisely in any fishing situation. You cannot mistake the Echo Carbon XL action and power when you take your first cast. The fly rods performance is usually pegged to its power and action. Power is witnessed when the fishing rod is under load. The 6wt echo fly rod is designed to withstand the big fish weight by throwing bobber rigs speedily with accuracy to keep the bigger fish pinned down. The 2 wt. delicate rods which are a bit brittle are good for performance. Their light tipped makes it suitable for picky trout on an excursion. Yes, there are many choices for the Echo Carbon XL including the 7’3″ 2 weight, 7’6″ 3 weight, 8’4″ 4 weight, 9′ 4 weight, 9′ 5 weight, and 9′ 6 weight selections. But when you go shopping for them, your choice of preference does not stop there. You can choose different colors from bass to brown or bookies to bluegill. Additionally, this echo fly rods grip style orientation is for fresh waters. Even though you can use it for saltwater dry fly fishing, it is primarily meant for freshwater fishing. Note that you must clean it appropriately especially when you use it for saltwater fishing so that it lasts longer. What’s more? The echo fly rod warranty will last you a lifetime. The manufacturer’s information about the echo fly rods is in itself mouthwatering and could easily get you drooling for purchase like a mad dog. Speed compares favorably with other rods of $300 plus. 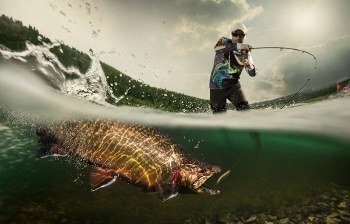 Even though the rod is for fishing newbies; the experienced fisherman would not notice that he is using a lowly priced 9-foot 5-weight Echo Carbon XL fly rod. Additionally, the echo fly rod will give the fisherman casting feedback that the rod is loaded and needs to be thrown forward. With the excellent feel, the cast feedback and reasonable speed, it is joyful to cast and to fish with the Echo Carbon XL fly rod. If you want to look for more options, you can check out other brands of fly rods here. For the Echo Carbon XL, it doesn’t matter where you want to fish. You may like to fish a lot of dry dropper rigs or fishing dry flies in light dropper set up; the rod has been designed to benefit these ranges. Just a sneak pick view of the models; the 7’3″ 2 weight is ideal for the fisherman fishing in a small stream, while the 7’6″ 3 weight does better with the dry dropper rigs. The precise roll cast accuracy aspect of these models is just amazing. Additionally, they are just the right size for small streams, but it can get to medium waters as well. The model 8’4″ 4 weight with medium-fast action is an excellent tool for long shots. This is a fun rod to fish with which you can subdue 20+ fishes. For a little larger streams, the 9’0” 4 weight rod is just perfect for the task. If you are interested in nymphing as well, this gear mends well easily. At the same time, it picks up a line appropriately in fairly Lager Rivers, if you’re fishing some faster stuff. Talking about the model 9′ 5 weight and 9’ 6 weight, the first one is a good for trout fishing especially when you are targeting the trout traveling in a particular direction. The latter is versatile for cutting through the wind. As a result, they are sturdier to fight big fish as well as for throwing the bigger flies downstream. The quick actioned Echo Carbon XL fly rod typically works well with every angler's casting style. Beginners will find easy time learning with this fishing companion before they jump for much more expensive rods. Even for the avid fishers, this fly rod is by far easier to cast than thick streamer sticks or any other delicate trout rods. The 100% graphite rod is firmer and stiffer with almost a quarter of the top part flexing under the immense pressure of big bugs and streamers. The crispy bottom transfers power throughout the shaft giving necessary feedback for any angler to quickly pick up the fly rods casting rhythm. With the new Echo Carbon XL model fly rod you can cast effortlessly throughout the day without getting fatigued. Tim Rajeff designed this rod by shading almost 10% weight of the previous rod to achieve the casting action anglers needed. The lightweight design makes it easy to cast aiding. 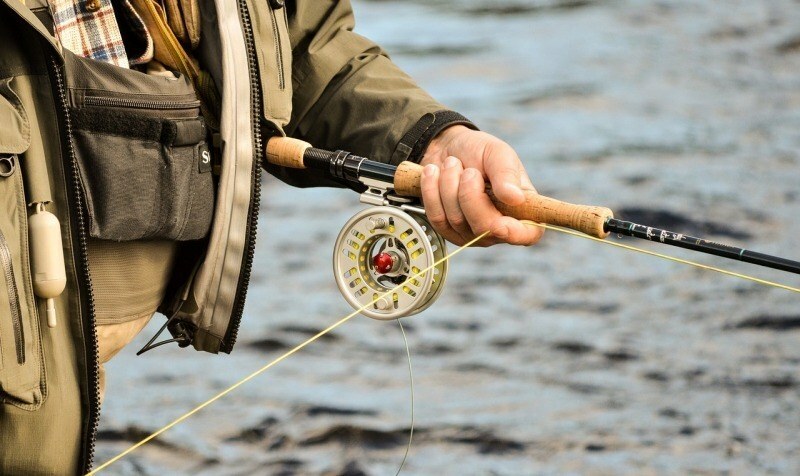 Its lightweight design doesn't compromise the fly rods torsional stability. Seasoned anglers know the importance of this stability in fishing line management and control. The Echo Carbon XL soft action tip tracks much more than expected. With this action, you don't have to worry about your leads going too far left. Also, the power of rod will give you good line control over longer mends thrown into complex streams. 1. Does the Echo Carbon XL come with a warranty? Yes, the Echo Carbon XL comes with lifetime warranty. 2. The Echo Carbon XL sounds too good for the price, why? The Echo Carbon XL compares favorably with other trout rods for up to $1000. Yes, this is a master of everything; nymphing, small and medium dry flies to bigger creeks. But that does not mean it should be expensive. Remember, constructing a good fly rod does not need expensive or more materials like we have been forced to believe by other costly rods. 3. Is the Echo Carbon XL worth the value of my money? Yes, because you can do every kind of fishing activity with it. Besides, you can choose your color. It is also durable and doesn’t break up easily. 4. What is unique in Echo Carbon XL? ​This model is a four piece design, highly suitable to bring along while you are traveling. It comes with a sock and case, embossed with customized Rajeff sports anodized alumiunum reel seat with a cutaway design. 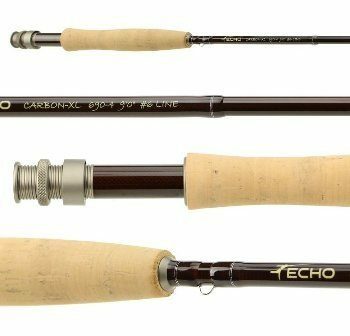 At a lower price, the Echo Carbon XL fly rod is a great fishing accessory to buy. Its casting abilities regarding ease of and accuracy are above average. The feel is excellent. This is a good rod for the beginning fly fisher. Besides, the cast feedback mechanism and most importantly its versatility to work well in every condition makes it indeed a great innovation with a reasonable price. The Echo fly rods reviews rate the product 4.4 stars out of possible 5. Hi! I'm Adam Parsons - a fishing enthusiast. I have been fishing for more than 15 years now and I still strongly remember that the toughest part for me was during the learning process. Most guides I read during that time was too technical to understand. Therefore, I make sure that everything I post on dream-guides regarding fishing is written well and easy to understand even by an ordinary individual. There is noticeably a bundle to know about this. I see you have made certain great points in your post as well.